You will know something special is going on here when you see this big gorilla hanging around. Great way to announce to your guest, hey over here. 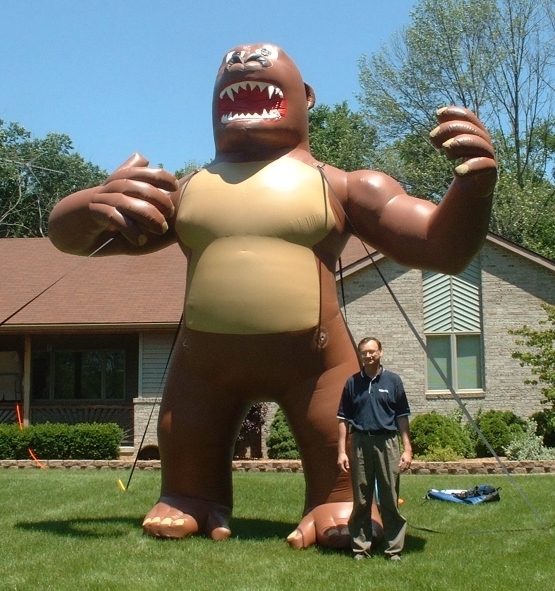 Use this inflatable for Company Grand Openings, Special Sale Events, or open house. Just tell your guest to look for the rather large gorilla hanging around. Ground set-up in a grassy area only.